New science shows a way to calculate the distance pebbles were transported by an ancient river and could lead to understanding the stability of water on Mars in the past. A discovery of some rounded pebbles by NASA’s Mars rover Curiosity has led to a study that determined the pebbles were transported to their current location by a ancient flowing river on the surface of the Red Planet, according to an article on csmonitor.com. 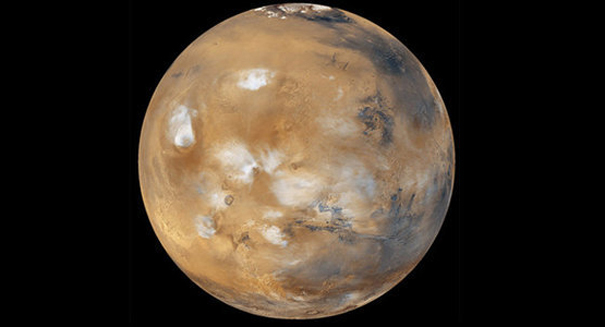 That research is suggesting that at some point in the Martian past, the planet was much less arid than today, and possibly had flowing rivers, similar to Earth’s. Images from the rover, taken near the site where it landed in 2013, were to great enough detail that they revealed smooth, round shapes, like those that can be found in streams and rivers across the globe on our own world. In a effort to understand how the pebbles came to be at their current location, researchers built a mathematical model to find out how jagged rocks become rounded and smooth due to erosion. Using the model, the team investigated the size and shapes of the Martian pebbles to try to get a picture of how much mass was lost from the original broken piece of rock. The research team then rolled limestone fragments around in a revolving drum, while recording the changes in the shape and size of the fragments, and found the differences to be inline with model’s predictions. Next, they took their theory out into the real world and investigated pebbles in a mountain stream in Puerto Rico. They began their pebble analysis at the headwaters of the stream, where jagged rocks were breaking free from larger rock formations on the walls of the stream. Measurements of the size and shape of rocks were taken every few hundred meters down stream, and they soon found that the erosion on these rocks was a close match to their mathematical model.